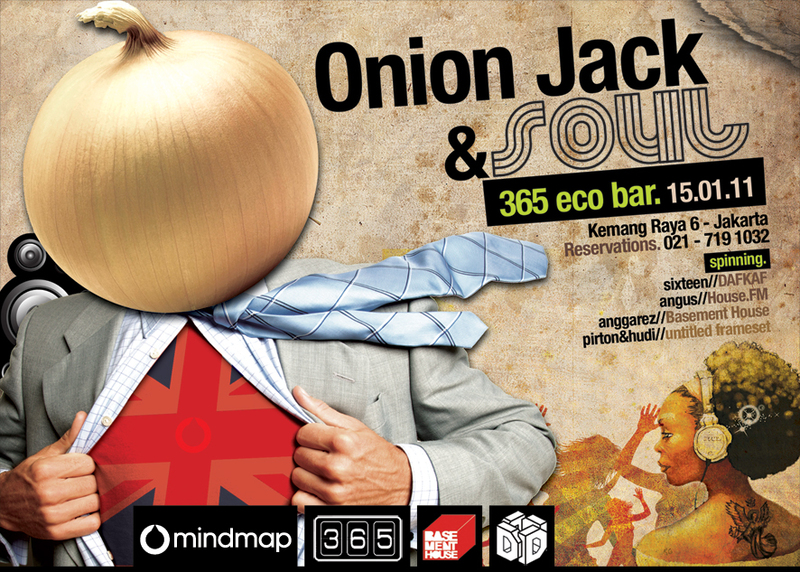 Saturday 15/01/11 @ 365 ECO BAR, FREE ENTRY! As we're saying hello to 2011, here's something light for u to kick start the year! Onion Jack & Soul is back. Hailing from UK, we present you a group of lads who play a wide range of music from soulful, deep, acid to jackin House. We're thinking laid back, fun & the total enjoyment for your precious weekend. So if you think u're into this sort of thing, then this might just be the perfect nite for u - Or not. But here's a guarantee, if u come, we'll give u absolutely brilliant music & some bloody good time!